Did you know crinkling small pieces of tissue paper is an excellent finger exercise to build fine motor skills in children? Crinkling small pieces of paper uses the same three fingers necessary for gripping a pencil: the thumb, pointer, and middle fingers. Children typically develop the strength and dexterity to grip a pencil around age four. Crinkling tissue paper is just one craft idea for kids to help develop the ability to grip and complete other fine motor tasks. 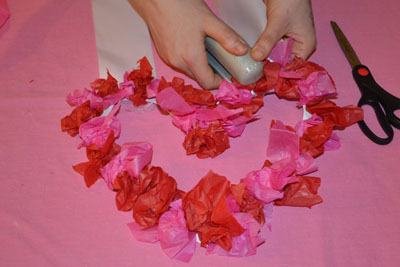 Here is a fun and easy Valentine’s Day craft idea that incorporates crinkling tissue paper! It’s appropriate for children age 5-6. 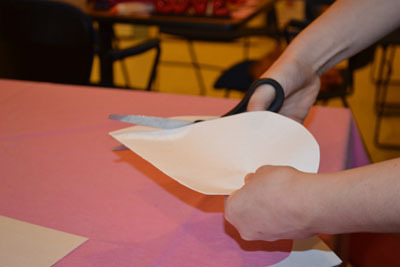 This homemade Valentine ’s Day tissue paper craft doubles as a winter fine motor project and a DIY Valentine’s day gift for your child to give to family member or friend. It is a great way to practice fine motor skills using materials you may have at home already. 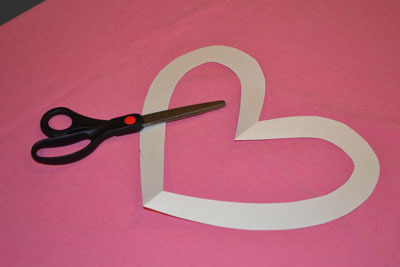 Cut a paper heart from the sturdy paper. 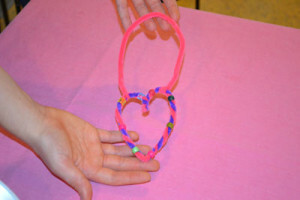 If your child is skilled enough to do this on their own, try tracing a heart shape for them to cut out. 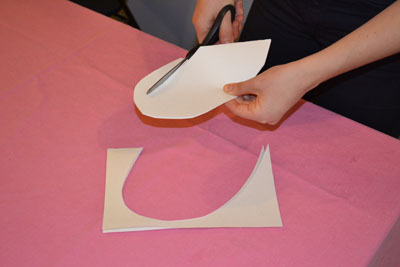 Cut a smaller heart out from your original paper heart. The smaller heart should be about 2 inches in from the outside of the larger heart. You’ll create the outline for your wreath. Now it’s your child’s turn to tear off little pieces of tissue paper and crinkle them into small bunches using their thumb, pointer, and middle fingers. 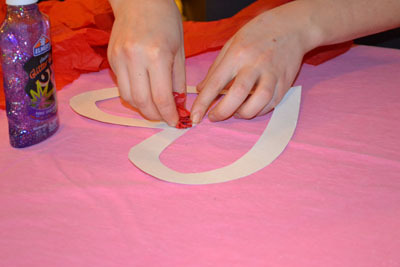 Smear glue along the outline of the heart so that your child can stick each crinkled piece to the heart outline. 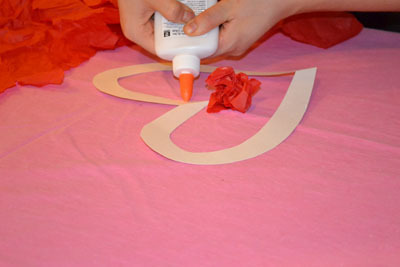 Now, let your child begin sticking the tissue paper to the outline of the wreath. 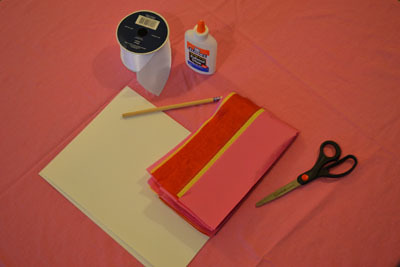 We alternated between pink and red tissue paper. 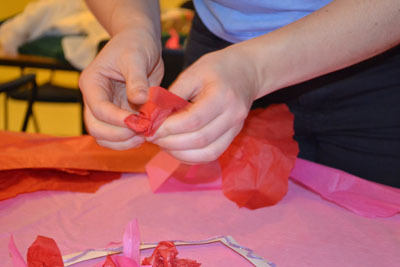 Once the heart is covered with crinkled tissue paper, help your child staple on a small piece of ribbon so that the Valentine’s Day wreath can be hung up. Want more information on fine motor activities? 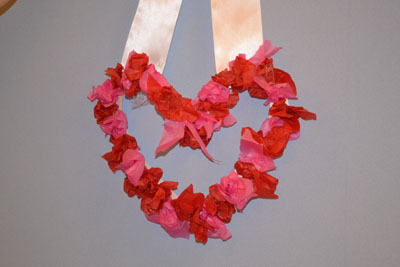 Make this Valentine’s Day decoration with your child to work on executive functioning and communication skills. 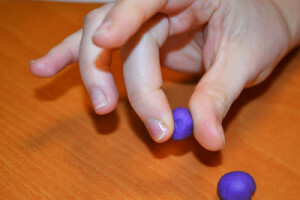 Try our DIY putty recipe and learn hand and finger exercises to help with motor development.